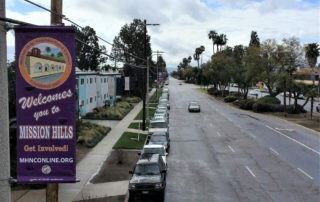 The Mission Hills Neighborhood Council redesigned our logo this spring and now we have just installed banners up and down Sepulveda inviting you to get involved in Mission Hills and come to a meeting. 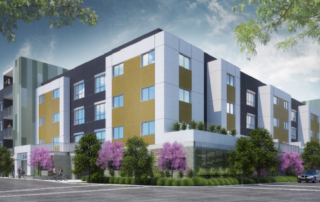 The Bermuda Apartments Project is proposed for a location behind Coco's and the Bear Pit. It would be four stories tall and include 52 apartments and 77 parking spaces. 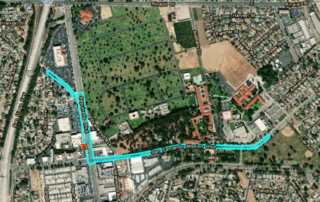 Do you want to have an impact in Mission Hills? Vote in our elections on April 27.